Recently a friend asked me about my profession as I changed my LinkedIn tagline to “Lean and Social Learning” expert. Apparently still many people active in L&D believe that their job is to “train” people in order to make them successful in their job. Do they not realize that when you train people the odds are big that they don’t learn at all, moreover that they will not change the way they perform their jobs? Training is part of formal transfer of knowledge between 2 or more people and has different outcomes depending the moment of need. In order to learn or change our behaviors we have to engage, motivate, guide and empower employees. Changing routines and stepping outside our comfort zone is not something that can be achieved by a training event. Ever tried to play golf ? You booked some training hours with a pro who gave you a list of “to do’s” and “not to do’s”. Afterwards, all powered-up you start hitting hole in ones ! No ? I Wish it was that easy to learn something new. In reality it takes more than a formal training, which in this case I’d like to call “instructions” . 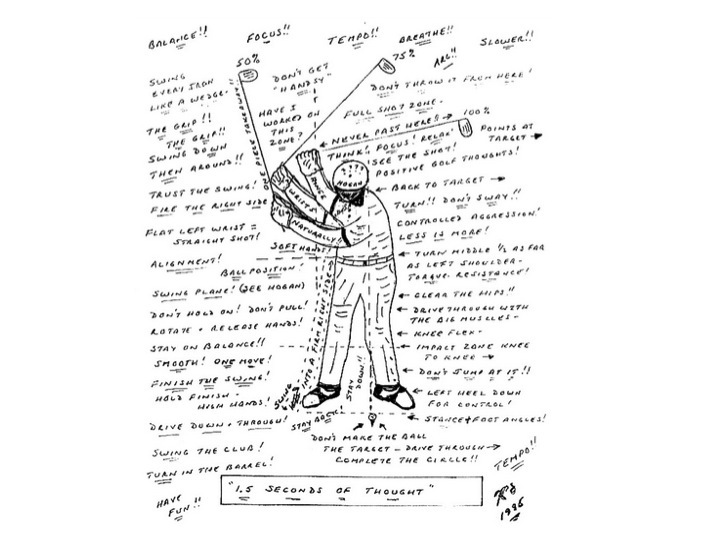 We need to know the basics and focus area, or as they say in golf: the “sweet spot” to hit the ball. A coach knows where to start and makes you practice on those basics . Hours and hours you spend on the “driving range” to practice those basic skills, and when you master those skills, your coach provides you with more tips. Remember golf is a social event and much more fun with your team. Imagine walking those 18 holes all by yourself and you hit a “Birdy”. Where is the fun when there is nobody to celebrate your victory with, nobody to see your improvements ? On top of that: with some tips from your “flight” you might have improved your putting skills, or you might have hit a “Hole in One”! Success is much more enjoyed when it can be shared. As a group we perform better when everybody understands that collaborating brings often tips that will make us all more successful. In golf we know that it takes time, coaching, expert advice, training , collaboration, gaming and FUN to improve your handicap .. That is how we LEARN to play golf and maybe become a pro. So let’s return to my friends question; I’m in the “Learning” business, creating an environment where all those essential parts of learning take place in a lean environment. For my customers this means that there will not be any unnecessary waste. Learners will find knowledge to better perform on their jobs when they need it, delivered to them in a way they enjoy learning. Adding social features to the learning will allow peer learning and coaching. Social empowered employees will validate the learning content and create new “learner generated content”. Web 2.0 tools and Enterprise Social Networks provide L&D a platform that enables learners to take charge of their own learning. This could be learner driven while giving L&D professionals a platform to mix and remix formal and informal moments to facilitate a learner-centered experience and practice contemporary methods that serve the needs of a learner in the digitally evolving world. Next Next post: Which Learning Dogma do you worship?